Stock car racing has a jargon that is unique to the sport. If you are a novice to NASCAR or only a casual viewer, terms can be confusing. Loose and tight are not a description of how your pants fit. A track bar is not a location at the speedway where people gather for an adult beverage. The lucky dog is not the first thing you might think when hearing a dog got lucky. The wave around is not a group of fans coordinating a cheer that ripples its way around the track. The newest term added to the NASCAR lexicon is Roval. What’s a Roval? It’s primarily a made-up word used to describe a road course combined with a portion of a conventional oval track to comprise a race course. It’s also a marketing term conceived by the media department at Charlotte Motor Speedway. 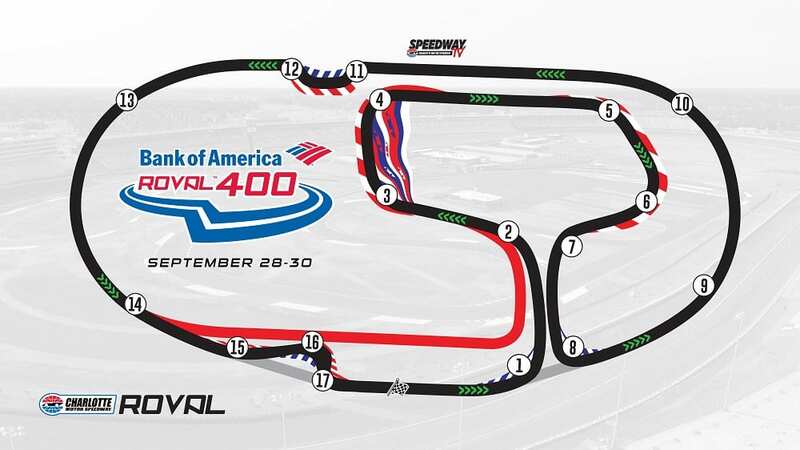 Based on the buzz created for this weekend’s Bank of America Roval 400, it’s a stroke of genius. Some argue that the Roval is just a gimmick that Track President Marcus Smith has brought to NASCAR. Maybe NASCAR needs some gimmicks to reinvigorate a fan base that has failed to fully embrace Stage racing and a new Playoff format. 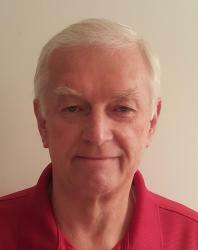 Regardless, Marcus’ daddy Bruton Smith has to be proud of his son’s innovative methods. They are selling tickets like the old days at CMS. 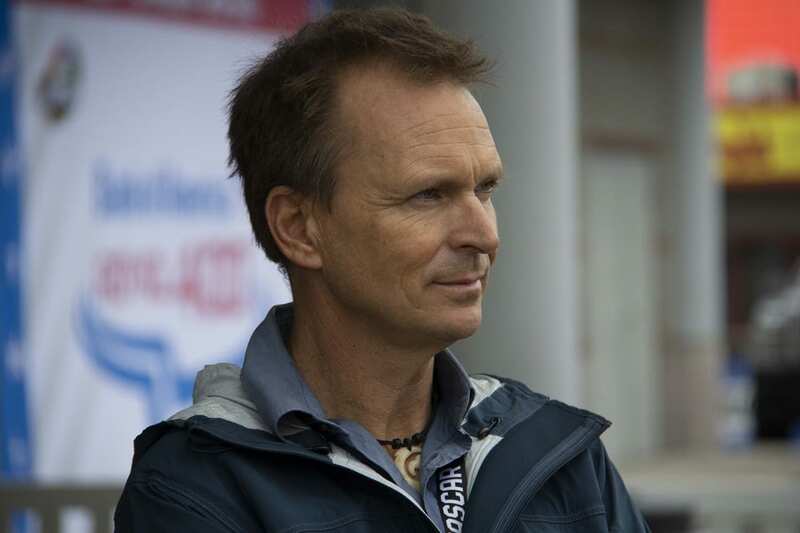 Even Phil Keoghan, from The Amazing Race reality TV show, came to the track this weekend. He is filming a documentary on the Roval that will air on the National Geographic Channel. Charlotte Motor Speedway has hosted a Spring and Fall NASCAR Cup Series race every year since 1960. The Spring race, at 600 miles, is the longest race on the circuit. It’s contested on the Memorial Day weekend. The fall race is usually held in early October. Both races have been run on the 1.5-mile oval. Until this year. The Fall race, set for this Sunday, September 30th, will introduce the Roval to NASCAR and stock car racing fans. The layout on the infield road course portion of the track has undergone a number of revisions. Some changes were made after tire tests earlier this year. A total of 17 turns make up the twisting circuit. There are chicanes on both the backstretch and front tri-oval portions of the original oval track. Driving a new race course for the first time is a learning experience, even for the most experienced of drivers. 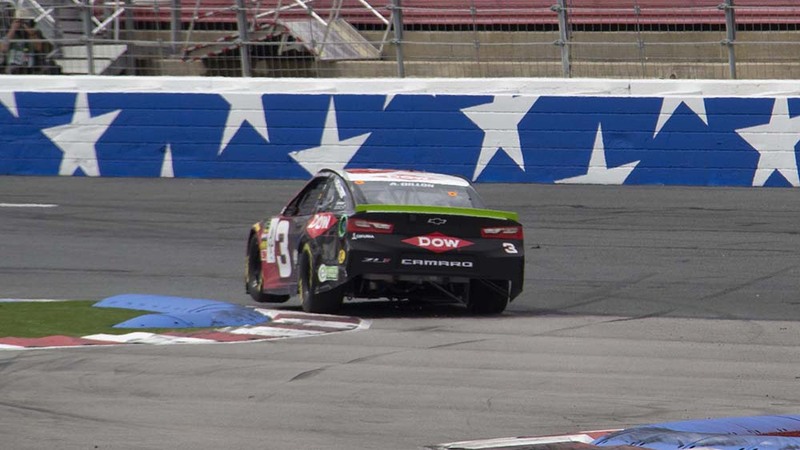 After initial tire tests at The Roval, a number of teams left with damaged race cars. Friday’s practice for the Monster Energy NASCAR Cup Series drivers did nothing to calm the nerves of crew chiefs. Their fear that the weekend is going to be spent repairing wrecked cars is a real possibility. Aric Almirola(10), Denny Hamlin(11), Ricky Stenhouse Jr.(17), Bubba Wallace(43), Austin Dillon(3), and Ryan Blaney(12) all had incidents. Practice is generally a wide-open track, no side-by-side racing to contend with. Sunday’s race, the Bank of America Roval 400, is the final race in Round 1 of the NASCAR Playoffs. Four of the 16 drivers who qualified for the postseason will be eliminated at the end of the day. Two drivers, Erik Jones(20) and Denny Hamlin(11), need to win the event to move on to the next round. Only Brad Keselowski(2), Kyle Busch(18), and Martin Truex Jr.(78) are guaranteed a spot in Round 2. Truex Jr. by virtue of points and the other two posted wins in Round 1 to move on. Kevin Harvick advances when he starts the race, needing only a point to secure advancement via points. For everyone else, an accident that ends their race could dash their Championship hopes. Here is how the current playoff standings stack up. The Roval seems to have re-energized the NASCAR fans that lost interest in attending live races. Charlotte Motor Speedway says ticket sales are running way ahead of last year. Sunday’s grandstand views will determine how much hype is present in that statement. No doubt the anticipation is building excitement. The Speedway has promoted the event heavily and NBC has pitched in to bring expectations to a fever pitch. 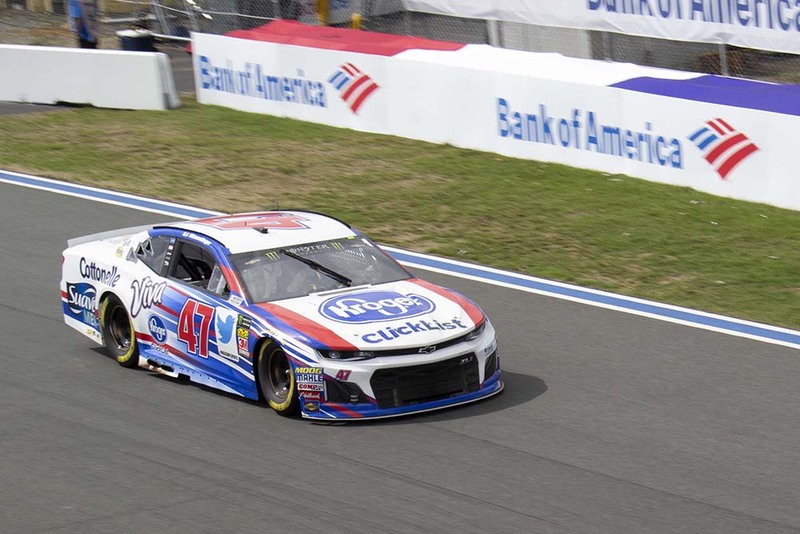 A J Allmendinger(47), probably the most experienced road racer in the field, led the first round of qualifying. His speed, 106.658 mph. Xfinity Driver, Daniel Hemric(8), was second fastest. Just .17 seconds behind. Hemrick, earlier in the day, was introduced as the driver of the 31 car for Richard Childress Racing for 2019. He replaces Ryan Newman who is moving to Stewart-Hass after the conclusion of the 2018 season. Only 12 cars advanced to the 2nd round with a shot to earn the pole. The “Big 3” failed to advance. Truex Jr. starts 13th, Kyle Busch 14th, and Kevin Harvick(4) 19th. Other notables with starting positions back in the pack. 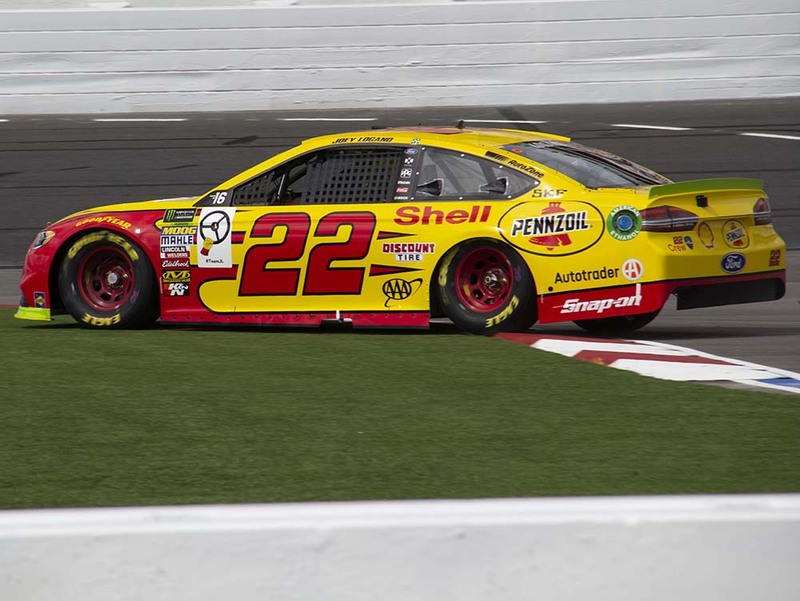 Joey Logano(22) 15th, Aric Almirola(10) 20th, Austin Dillon 24th, Keselowski 25th, and Hamlin 27th. 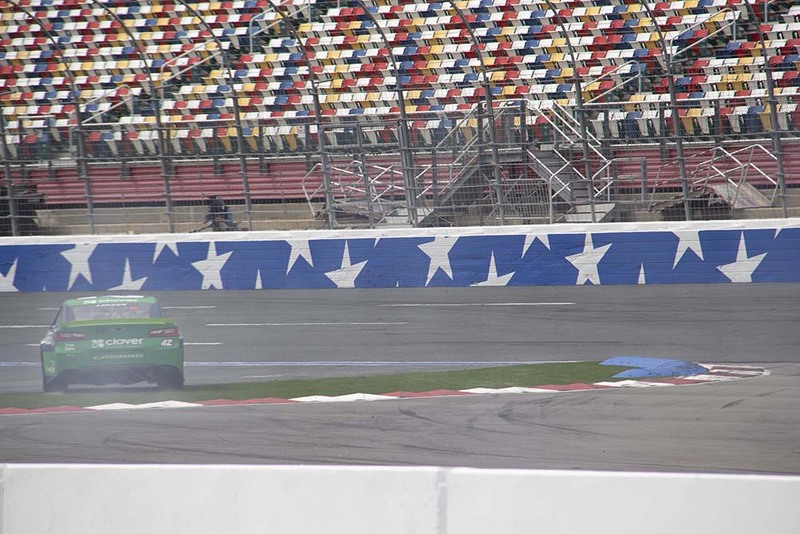 Kurt Busch(41) won the pole with a speed of 106.868. Allmendinger will start next to Busch on the front row. Just missing the top spot by 41/1,000’s of a second. The rest of the top 12 line up as follows. Look for continuing “Live Coverage” from The Lasco Press all weekend from Charlotte Motor Speedway.